The June - August plan is now available. View your copy here to see who, when and where worship is to be held across our area. During Lent 2017, DMLN Yorkshire plus will be posting 40 Prayers, on 40 days, from 40 voices of all ages, of people living in the Yorkshire Plus Region of the Methodist Church – and a few invited guests! We start on Ash Wednesday March 1st and will post a prayer for each of the 40 days of Lent. If you would like to receive the posts straight into your email box, then follow this link which will take you to the 40 Voices blog, and follow the instructions there. As part of Fairtrade Fortnight there will be a Big Brew event at Beeston Hill United Free Church on Malvern Road LS11 8PD on Saturday 4th March from 2-5pm. There will be fairly-traded refreshments available free of charge and a number of stalls selling Fairtrade goods including many Palestinian-made craft goods. (Please note that the No.1 bus to and from Beeston calls outside the church). Please book your place through the Circuit Office. The Mar - May plan is now available. Terry Doyle is a Benedictine Oblate with the World Community for Christian Meditation. Cultivating the Inner Smile – A day to nourish mind, body and spirit with a fusion of East meets West, ancient Tai Chi exercises and Christian Meditation. Suitable for all ages and abilities. Craig Ogden , classical guitarist, who is often played on Classic FM,is appearing in concert at The Grove Church,Town st, Horsforth on 19th February at 3pm. Tickets can be obtained on line at https://www.ticketsource.co.uk/craig-ogden-grove or from M.C Consumables on Town St Horsforth. They will be £10 on the door or £8 in advance. The angels are gathered labelled ready to put them out around the church and on the main street in Armley. 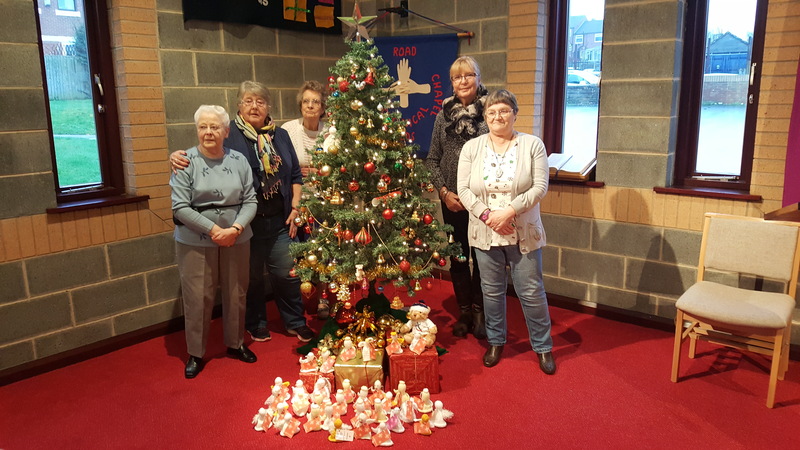 The knit and natter group at Wesley Road Chapel are pictured here with the throng of angels around the Christmas tree. 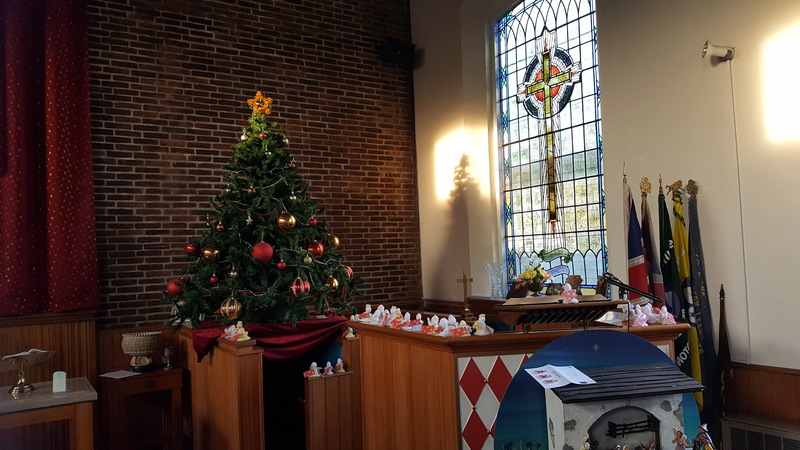 It is encouraging to see folks from around the circuit, both church and non-church members that have joined in to make the angels – St Andrew’s Beeston, Hunslet, St Mark’s, St Andrew’s Bramley, Headingley to name a few – and there may be more to include in the list. To share God’s love and to bless the community in public places and community spaces with a Christmas message. Knit on your own, with friends, at a cafe or even in church. You could even teach someone else to knit. #XmasAngels sending love to #Glasgow. Make the small things count. As I walked on with my angel in my hand I turned the label over which read ” Don’t give up” it really felt like a message from her. I finished my walk in tears and my lovely angel is now hanging on my tree. What a lovely surprise – l love the little angel and will treasure it! Happy Christmas to you all and thank you. This is an excellent way to connect with our local communities whilst sharing the real meaning of Christmas. For those interested in numbers, in 2014 2,870 Angels were knitted and in 2015 the number increased to 20,586 in total. If you or members of your church are interested in knitting you might like to look at this site. A group of people in North Shields have been knitting Angels to leave out in the street for passers by. If you would like to be involved in doing something similar in our area then please start knitting. Please see Pam Luxton for More details. The circuit Servant Evangelism and Mission (SEAM) group are planning prayer walks around the circuit. Prayer walks will be for an hour on Saturday morning, and will follow a pre-planned route which will be decided with the help of the local church in the chosen area. The first walk is on Saturday 5 th November, 10 to 11am based at Hunslet Methodist Church. Have a look to see the drumming workshop in action on our South Leeds Oasis facebook page. The Dec - Feb plan is now available. Samba-Reggae beat, drumming and percussion instrumental fun for all ages and abilities. 11am - 2pm including lunch. The 1st draft of Tending. Teaching, Trusting for discussion is published for trustees to consider. The final version of agreed targets from the circuit meeting will be available soon. The Sep - Nov plan is now available. Children and Families Development Worker. Palestinian Christian Dance Group visiting Yorkshire and London. The June - Aug plan is now available. 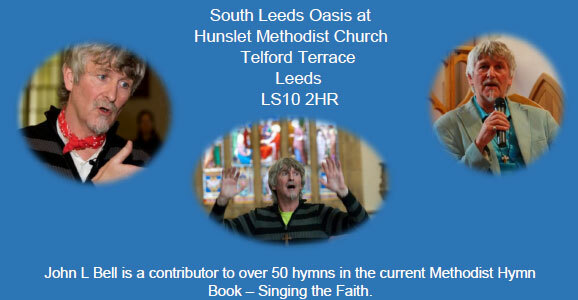 South Leeds Oasis - Why God's people sing? More than 80 people attended this event and enjoyed a good evening listening to both John's dry humour and his profound insight into the reasons for singing. A number of new songs were shared and sung from around the globe. John's tales included some very emotional and inspiring stories which provided much food for thought regarding how we use our hymns to express ourselves today in a modern world and how our history has shaped some of the traditional material we have previously used. 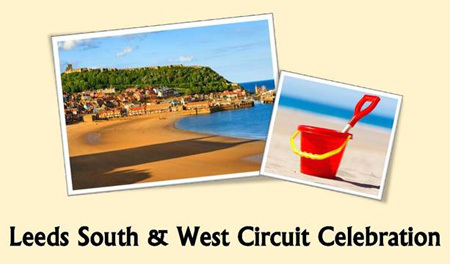 The new circuit has booked 8 coaches to transport nearly 400 people to enjoy the delights of the Yorkshire coast. 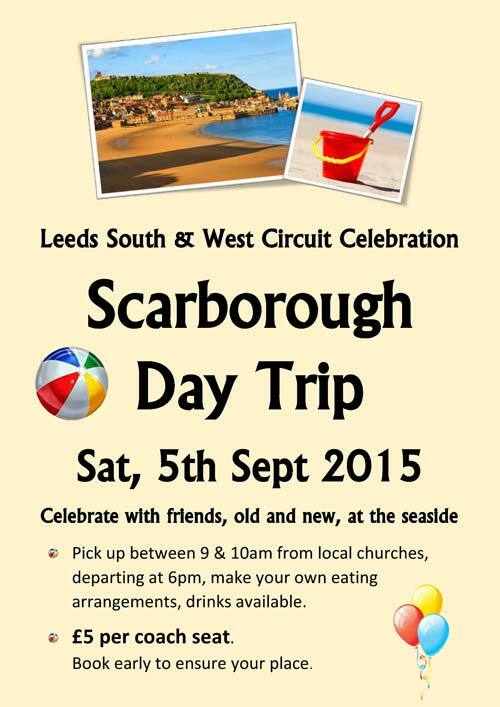 Saturday 5th Sep, come rain or shine, will see Leeds South & West Methodists out to enjoy the day. Watch this space for news from the day. The day will culminate in worship at 4pm at Queen’s Street Methodist Hall when we will pray for our people and our future mission.